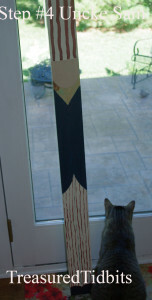 I was recently offered several free picket fence posts. Of course, I said YES! Now, I need to decide what to do with them. 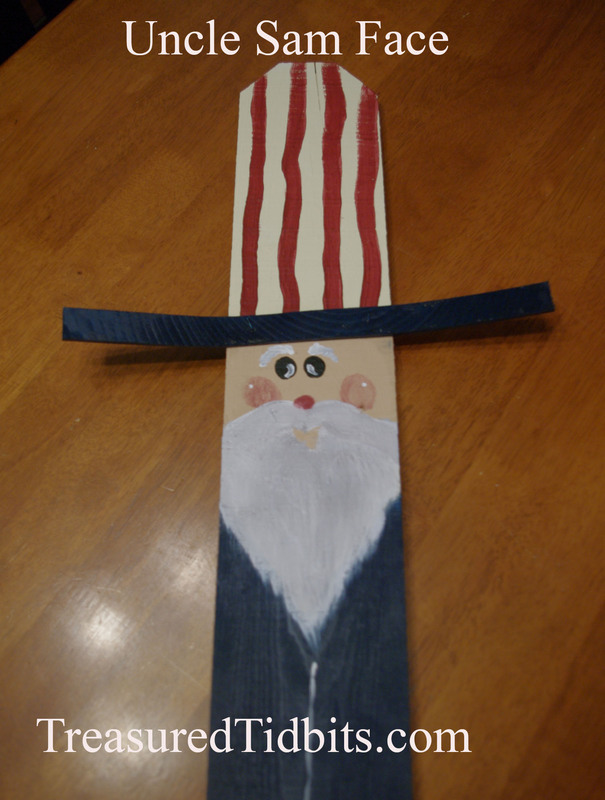 In honor of the upcoming holiday Uncle Sam was my first project. Paint: We used Red, White, Blue, Black, Beige, Flesh and a shiny Metallic Silver from Ceramcoat. Note: I prefer Delta Ceramcoat for ALL my craft painting because it takes less coats, applies smoothly and has beautiful colors however, it is getting harder and harder to find in local stores. Note: We prefer Clear Krylon Non-Yellowing Indoor/Outdoor and it can be found at most your local retailers. 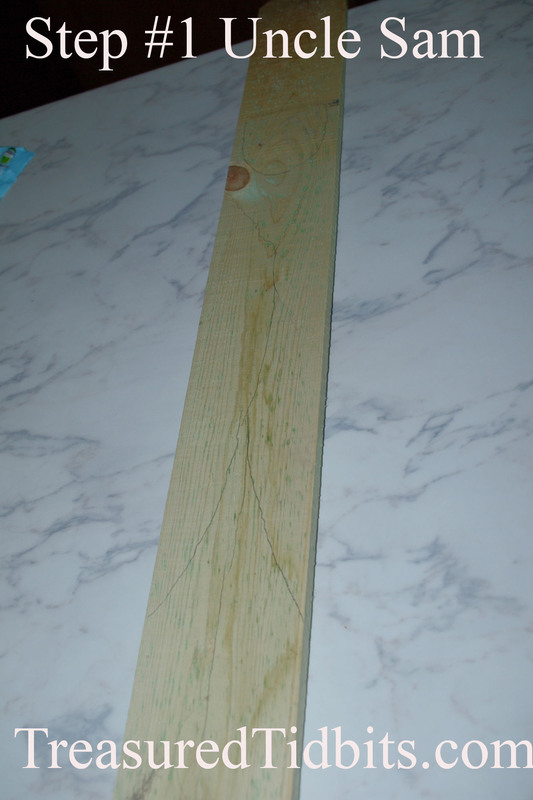 Draw a light rough draft of the expected design onto the wood. Note: I simply penciled in the generic lines for the bottom of the hat, the face and the coat so that I would have a feel for the dimensions I might want to use. 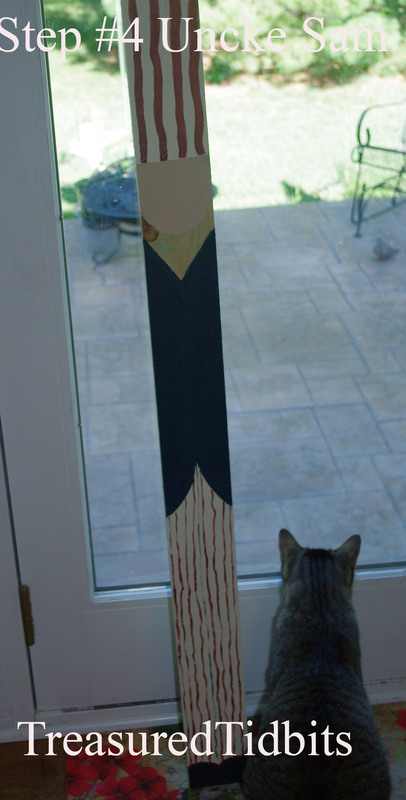 Note: By painting the layers that should “appear” to be in the back first you will be able to control the impression of the top layers much better. Add red stripes to the hat and pants. As you can see I did not concern myself with straight lines. 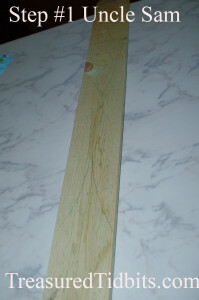 Note: If you are concerned with straight lines you can use the edge of a paper or ruler or draw and fill in the lines. For pointers on this click here. Base coat his beard- lightly brushing into the edge of the blue coat to create a feathered effect. Add a mustache and eyebrows in white. 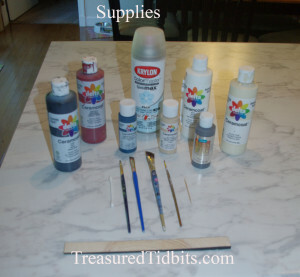 Apply a second coat of white paint and while paint is still damp dip brush tips in silver/grey paint and stroke/blend into white paint to create a “hair” effect in the beard then repeat with the mustache. Note: Paint the mustache strokes over the beard to once again give it the layered look. Attach the hat brim with tiny brad nails. Enjoy your Uncle Sam for years to come. Please remember that each Uncle Sam should be unique in his own way. I put this one together in just an hour or so (not including sealing) and I guarantee the next will not be identical as my projects always vary when I am free handing. Want to see more great DIY and seasonal ideas? Follow us on Pinterest, Instagram, Facebook and sign up for weekly email updates. 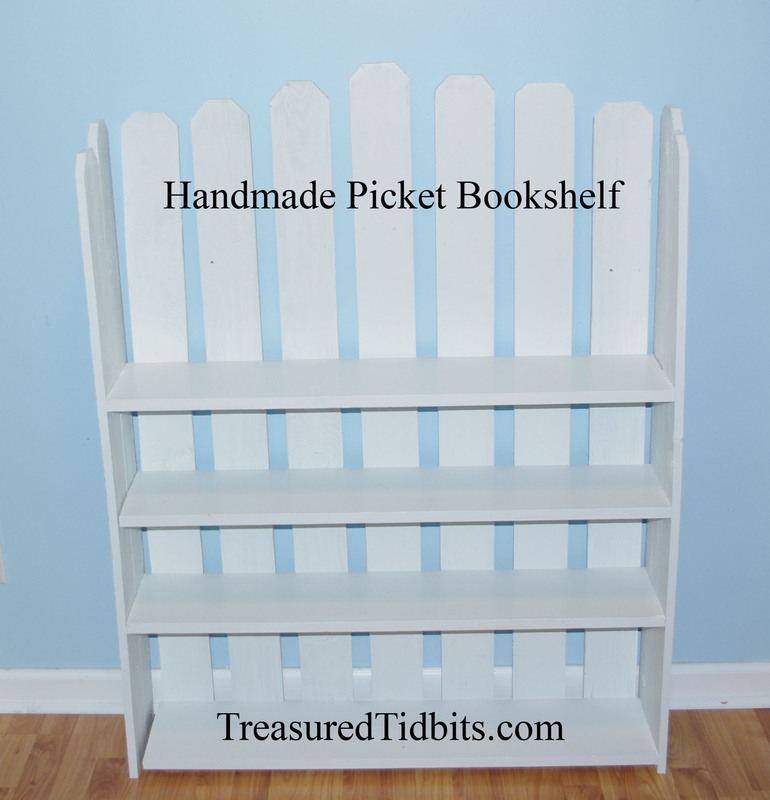 Update: We also created this adorable set of shelves from those free pickets. You can find the instructions for those here.